Looking for a photography studio for your upcoming photo shoot? Check out Studio 253 in Tacoma, WA. We offer a beautiful, natural light studio space for you to meet, create, and grow. Our gorgeous photography studio space is located in the heart of the theater district in downtown Tacoma. Our gorgeous studio is 1800 square feet with a 624-square-foot shooting area, 13 -foot ceiling, a wall of windows for natural light photography, and a large enough space that will only be limited by your imagination. Needs strobes? We gotcha covered. For only $15 extra an hour you can use our lights and modifiers making it super convenient. We also have a seamless paper system. Contact us for pricing. This studio has a private room for in-person sales, hair and makeup room, and wardrobe room. Let's start creating!! Get the best of both worlds when you choose to do your photo shoot at Studio 253. 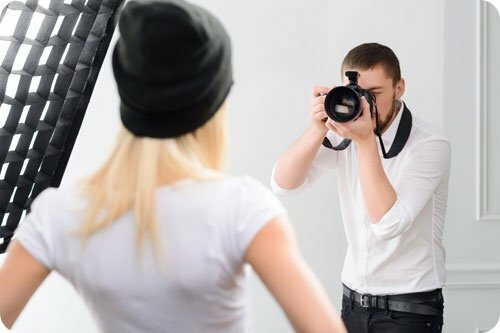 What photographers love best about our studio is its proximity to picturesque spots such as the Graffiti Garage, the Spanish Steps, the Pantages Theater, the Rialto, and Wright Park. Plus, with Antique Row right out the front door and Opera Alley Court C out the back door, it's definitely a photographer’s paradise! If you’re a photographer looking to rent our studio space, contact us for availability. We are always happy to hear from you!